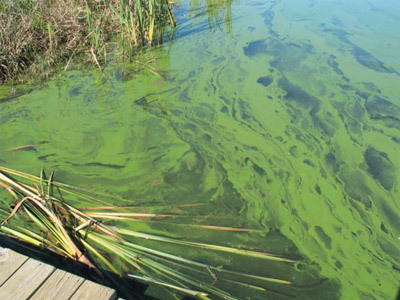 A popular beach in the Finger Lakes has been hit with blue-green algae. Sandy Bottom Beach, on the north end of Honeoye Lake, is closing for the season because of blue-green algae. Jeff Moore has lived on Honeoye Lake his entire life. Every morning he cleans out the weeds and blue-green algae washed on his bay.